Prough, Ingerick honored by Athletic Department. Ingerick commits to play softball at Gannon. 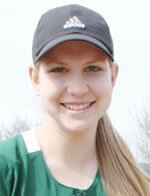 Wellsboro's Ingerick signs with Gannon. Softball 2013 season in review.